Orlando Sagarnaga epitomizes integrity, energy, hard work and creative service in every detail of your transaction. Orlando is native to Arizona and grew up in the Phoenix area. He has worked in every aspect of the industry representing sellers, buyers, and investors in the residential market. 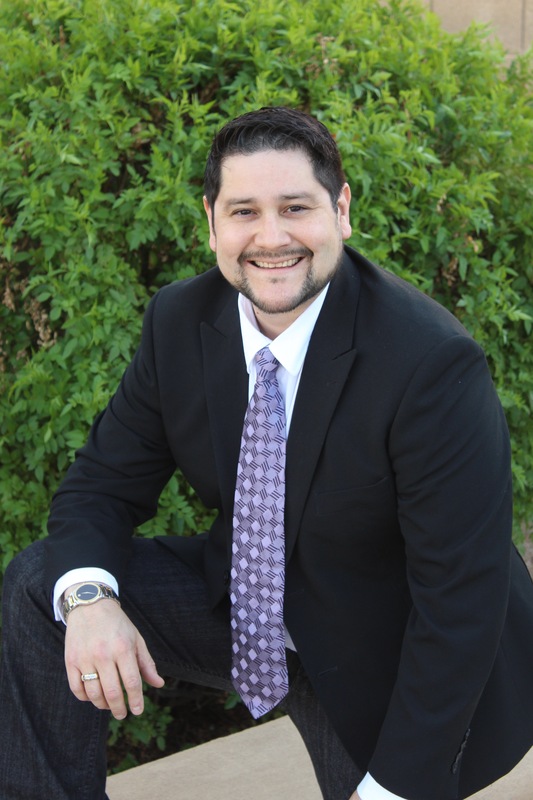 He has continued rising early as an active member of the National Association of REALTORS and has since built a successful career in the real estate industry for over 18 years in Arizona. Orlando is the Owner/Team lead for Arizona Residential Group and enjoys working and assisting his agents as well as his clients. Orlando is a great family man and takes delight investing into quality time with his beautiful wife of 20 years, and their 4 wonderful children. A gifted musician by nature, having led a variety of bands since he was a teenager. In his off time, you will most likely find him sitting at his piano, creating new music alongside his wife. He continually challenges himself learning different styles of music and writing lyrics that touch the heart. As an experienced agent, Orlando understands that buying and selling is one of the biggest decisions in a client’s life and views representation and guidance of his clients through this process as a true privilege. If you are selling, Orlando will work with you to get you the fairest price, in the least amount of time, by using state-of-the-art technology, team collaboration and innovative marketing systems. If you are buying, he will work hard to provide you with the best information and market data to inform and assist you so you can be a well-equipped buyer with the strongest possible negotiating position. Orlando understands that buying and selling real estate can be stressful. As a full-time Realtor, he will work hard to lower your stress level and make your experience a positive one. Under Orlando’s leadership, AZ Residential Group has been awarded and achieved Certificates of Excellence with 10+Million in volume. Passionate to his craft, he continuously seeks to stay ahead of the game when it comes to real estate market education and trends. "My home buying experience was awesome with AZ Residential Group. My realtor, Orlando Sagarnaga was always willing and available to show me homes and was able to work around my schedule. He made my home buying experience memorable. He was able to make my home buying process simple. I would definitely do business with AZ Residential Group and would highly recommend them." "I worked with Orlando and he was great! My husband and I were first time home buyers and he took the time to explain every thing and answered all the questions we had. Orlando also sent us an updated list of new houses every day and worked with our work schedules." "I am so happy Orlando didn't give up on me. Working with Orlando was wonderful. Everything ran so smoothly. He was so reassuring that all would work out, and it really did. We also loved working with Denise, She was amazing to work with! She was always so bubbly and nice, and really focused on what we wanted! I recommend everyone use the AZ Residential Group in the future. Even if you don't think you have a chance, the whole team will work with you until you get there! " "Orlando quickly met with us to explain the process and give us information regarding programs that could assist us with a down payment. The lender they work with is amazing! Orlando made sure that when he was not available to show us homes someone from his team was! "Orlando was a great guy to deal with. I never felt like he was just in it to get a check or make money. He was always responsive, no matter how many times we bugged him, and he provided realistic real estate advice, not trumped up advice. I refer all my friends and family his way, and definitely would only work with him in the future if the need presents itself!" "Orlando was very helpful and answered all of our questions. Yesenia was AWESOME!!!! Enjoyed working with their team. Appreciate all their time they have spent with us."